Putah creek is a tailwater below Lake Berryessa. The water is diverted for the agriculture fields below the creek. This creek is known to hold big 18''+ finicky trout that are uniquely more darker in color than most other rainbows. The "creek" is fairly small and has a slight green tint with a bottom that is full of brown algae covered boulders. Putah Creek is also a unique fishery in that it is a constant battle between agricultural water usage and fish habitat. Due to the creek's proximity to several urban areas, there is a lot of illegal poaching that happens here. 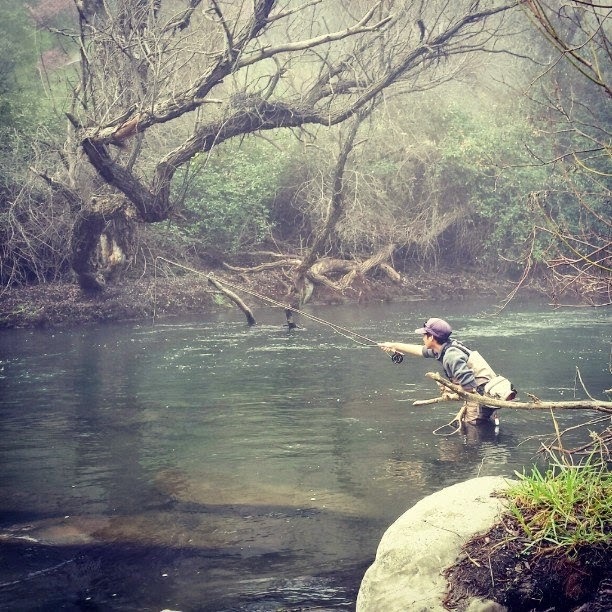 Putah Creek is a wild trout stream meaning zero limit C&R fishing all year around. DFG make frequent visits to the creek in order to enforce a wild-trout fishery. Today I made my first trip to try to catch and photograph a Putah Creek trout. When I first arrived on the creek I had a somewhat solid mindset of what to do and what to look for. The creek was surprisingly smaller and deeper than I had expected. I fished around turnout #3 and hiked up and down the trail scouting out runs, riffles, and holes to fish. I did what any angler would do and fished the fishy spots with no luck. There was one spot where I was able to visibly see the three Putah bows and sight cast to them. I threw a lot of different flies to them but no reaction. They looked like they were feeding and even if I didn't make a good enough presentation with my first few nymphs I should have had a bite through curiosity with my egg and worm patterns. During my time there I met up with a man named John from Berkley. He was very polite and gave me pointers on where to fish. He told me that it was his 6th trip out to Putah and over 6 years of fishing the creek he has never seen the fishing this bad this time of year. "It's as if they stopped eating," was a quote John said that stuck in my head while I continued to fish. I found no luck so I decided to call it quits. John made a comment about the fishing being really good in November before the spawn. I'll probably try again in that time frame but as of right now it was overall an interesting experience. 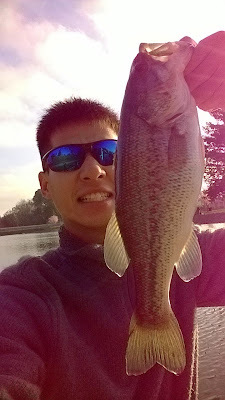 After an unsuccessful day on Putah Creek, I decided to beat the skunk at Ellis Lake before heading back home. 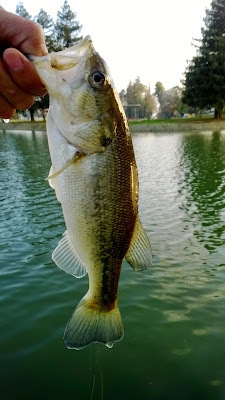 A few bass were in prespawn and within a few hours covering lots of water I went 2/3. A few kids were fishing the rocky edges with hot dog bait and were catching tons of little bluegills. The water was surprisingly warmer than the air temperature. The bass aren't on their beds yet but catching a few after a skunk feels great. I will be swinging and nymphing for spring-run steelies on the Feather this week. This is about the time the bugs start coming out making it a fun productive day on the Feather. Thanks for the report on Putah! Maybe we can fish it together next time! The Feather River. Quality over quanitity?